The Piano Sonata No. 8 in C minor, Op. 13, commonly known as Sonata Pathétique is one of his most celebrated Beethoven's compositions. Although commonly thought to be one of the few works to be named by the composer himself, it was actually named Grande sonate pathétique (to Beethoven's liking) by the publisher, who was impressed by the sonata's tragic sonorities. 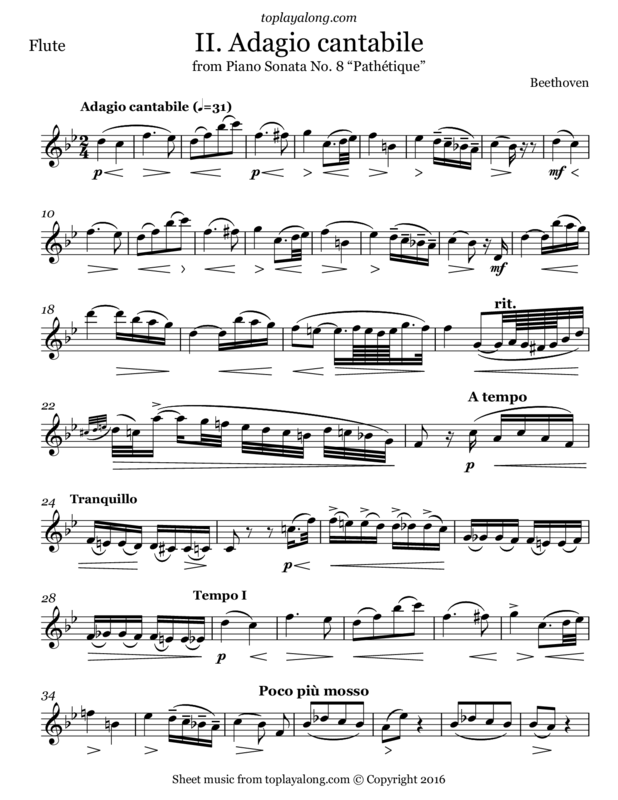 This is piece is the second mouvement, Adagio cantabile. It exemplifies the expressive Adagio style of many slow movements in the classical period.